Sydney has seen an increase in the demand for new housing, due to a rapid growth in population and a higher level of immigration in the city. With such strong demand, Sydney homeowners wanting to sell should look for something to make their property stand out. A great point of difference is high quality timber flooring. A study from Australian Timber Flooring Association and the national Re/Max Real Estate Network found that 91 per cent of roughly 1,000 agents stated that homes with timber flooring were easier to sell than others. On top of this, according to USA Today, 54 per cent of home buyers would pay more for a house that had timber flooring. Here at Sydney Flooring, one of the questions we get asked time and time again is whether new flooring can be placed on top of existing flooring. Simply put, the answer is yes. Adding value to your home and with numerous benefits, below we explore how timber flooring can easily be lay over multiple surfaces. There are many types of timber that can be placed over a subfloor. A subfloor is the foundation for a floor in a house and provides a base to your actual flooring solutions. Plywood subflooring has been a popular choice in homes built in the past 40 years due to its many benefits. It's made from cross layers of birch or pine veneer that are typically cross-laminated and glued together to form interlocking sheets. These layers create a strong and secure base for any finished flooring to be placed on top, as long as the plywood subflooring has being installed well and is flat and non-flexing. Sydney Flooring's extensive range of timber hardwood solutions can all easily and effectively be placed over good quality plywood subflooring to create a durable and solid surface. There is usually no limitation to the direction in which you want to run your finished flooring material, allowing for optimum flexibility and free reign. Concrete is a material which people often don't realise can easily and effectively have new hardwood flooring placed directly on top. A great way to fix new finished flooring onto a concrete subfloor is through the floated method. A floating floor is one that is not required to be fixed to a subfloor. For this method to be effective, the concrete subfloor must be completely level, flat and contaminate free. If elements such as old paint, chemicals and glue are left on the concrete, they can affect the quality of the glue when attaching the timber flooring. Because concrete has permeable characteristics, it must be sealed against moisture before laying any form of timber on top. The moisture proofing underlay prevents any damage to the wood. The floating system was developed to allow maximum natural movement within the wooden flooring, without restriction. It's a relatively quick installation process and relatively cheap, too. Direct fixing is also a popular method within concrete subflooring. The timber flooring is glued onto the surface, giving a more solid sound when walked upon. However, not all timber varieties are suitable for this method. 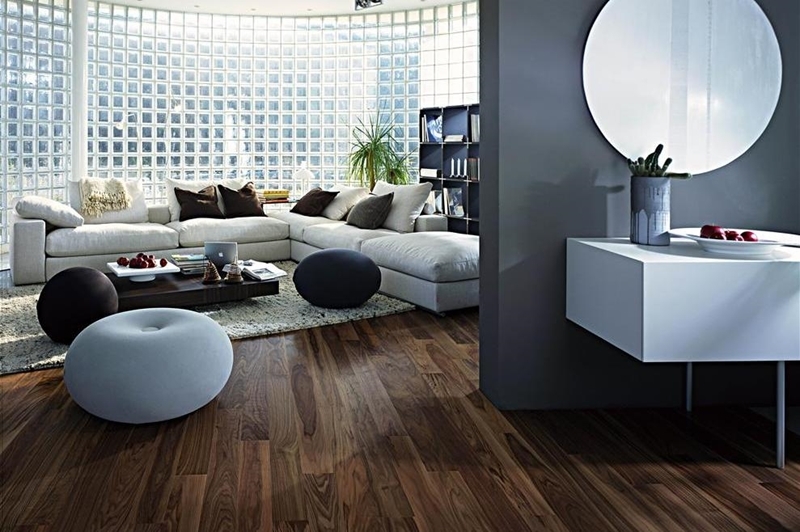 Timber flooring can be a great addition to any home. Can you lay over joists? Yes, you can lay timber flooring directly over joists, but there are factors that must be taken into account. One main aspect is spacing. You must ensure that your joists are not too far apart to allow for a secure support for your finished flooring surface. If your joists are over the recommended spacing requirements (45cm), it's wise to place a plywood or chip subfloor over the top to create a more stable floor. Heating is another important factor to think about when laying directly over joists. Homeowners will want to ensure that they are receiving adequate heat retention all year round. Be sure to apply sufficient insulation between joists to eliminate cold temperatures. Sound is also a thing to consider when flooring over joists, especially when on top of a bedroom or living room. Without correct levels of insulation in place, noise will appear louder through floors, causing irritation. A thick enough timber flooring is necessary for a strong and secure footfall when placed directly over joists. Requirements tend to suggest that timber flooring boards should be no less than 18mm thick when laying directly over joists and should be fixed using nails or staples at a maximum of 300mm spacing. This will lower the risk for damage and give a better support to your flooring. 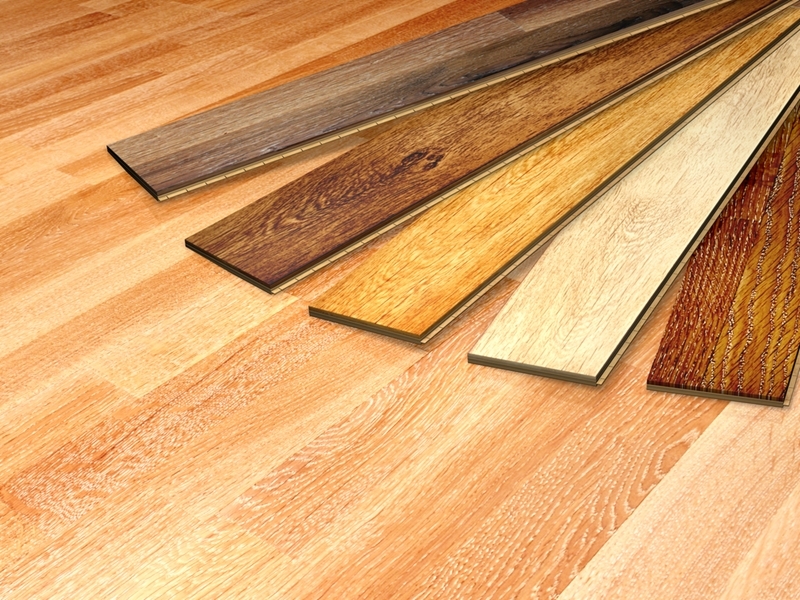 Here at Sydney Flooring, we have been industry experts in timber flooring for over 50 years. With a host of knowledge and a friendly team on hand, you can be sure that your timber flooring needs are in the best hands possible. Give us a call today for advice and information on our affordable wood flooring.